Who said that Heaven couldn’t be found on Earth? 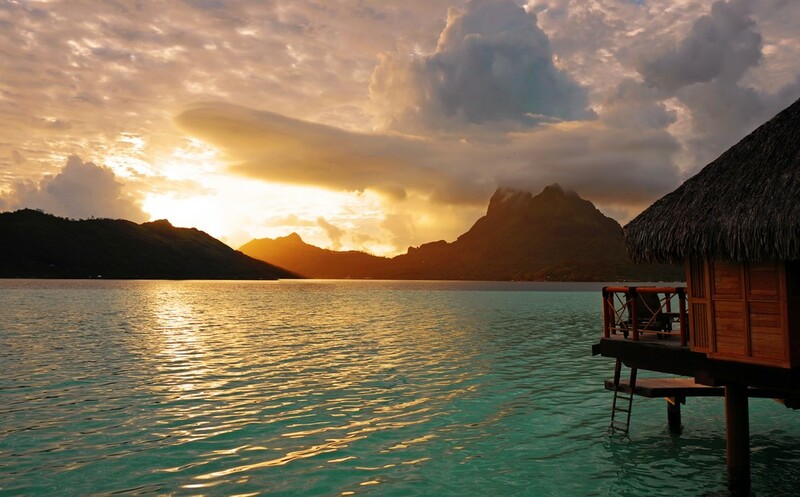 It lies in the South Pacific, just north-west of Tahiti and it bears the name of Bora Bora. This island appears to have all the beauty of the world captured in its green waters and sandy beaches, making it a magical place to visit. However, not everyone knows the best time to visit Bora Bora. That’s why I’m here today. Bora Bora is the jewel of French Polynesia that has the power to capture you since the first moment your feet touch its ground. 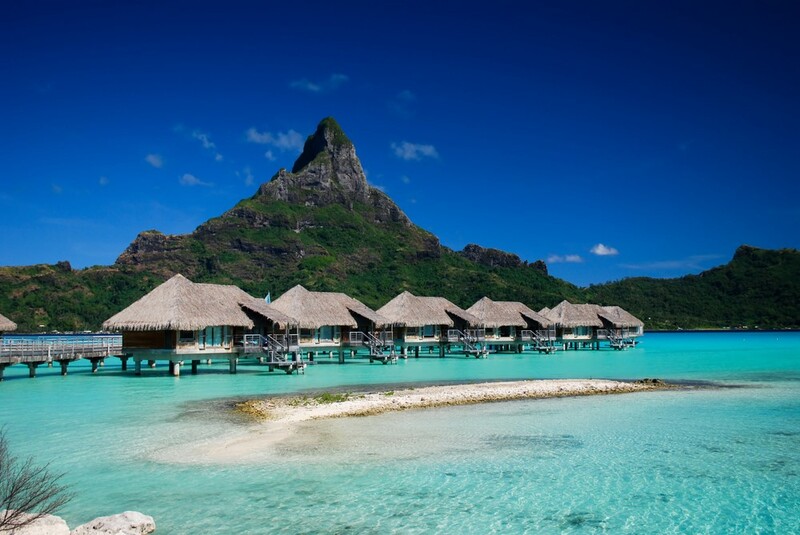 Even though it has become a symbol of a romantic getaway and the perfect honeymoon destination, Bora Bora is suitable for all types of vacations. 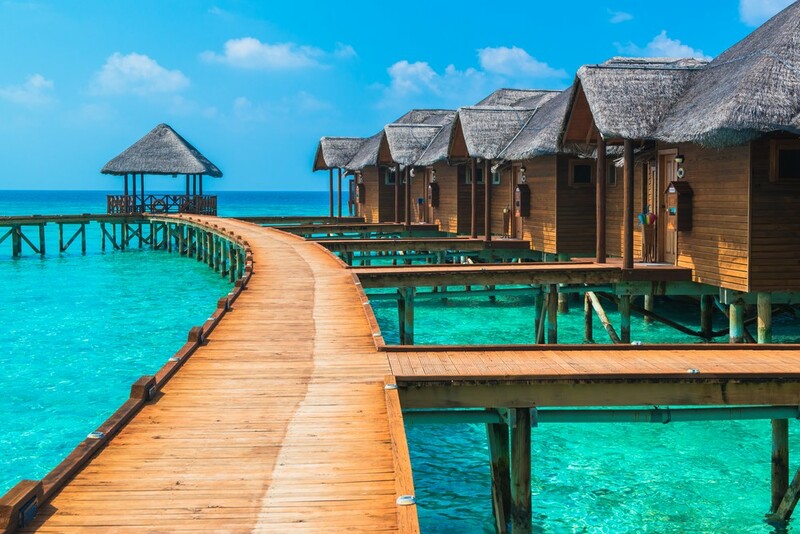 With the unique bungalows settled above the spectacular transparent waters and the breathtaking surroundings, this is a place you will never forget. Depending on what you plan to do there, there are certain months of the year that pronounce the island’s beauty more than the others. Like the Alps are beautiful in winter and Spain marvels in summer, every place on the planet has its signature season. 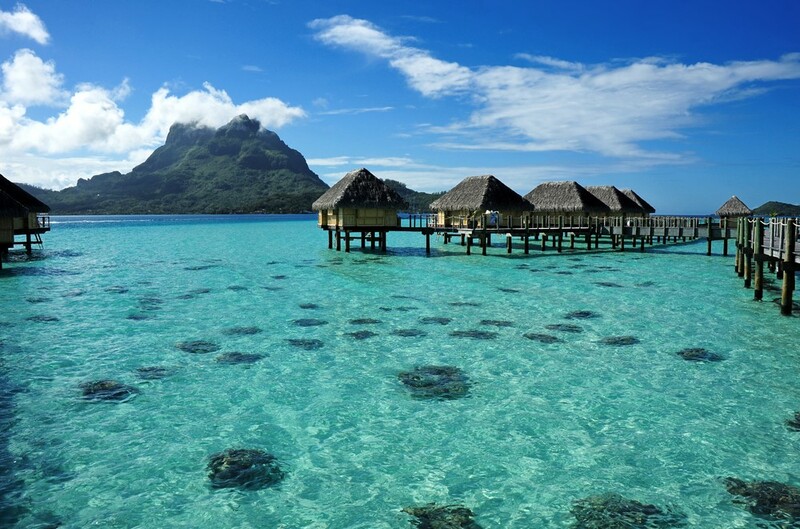 Let’s find out which is Bora Bora’s! December – March: This period is a real surprise for tourists. Sometimes there’s rain, which brings mosquitoes and at other times, the sun shines stronger than ever and the sky is crystal clear. That’s the main reason that the visitors evade the island, leaving space for bargain hunters. During these four months, there are two key events – Bora Bora Liquid Festival in December and Taurua Varua in January. 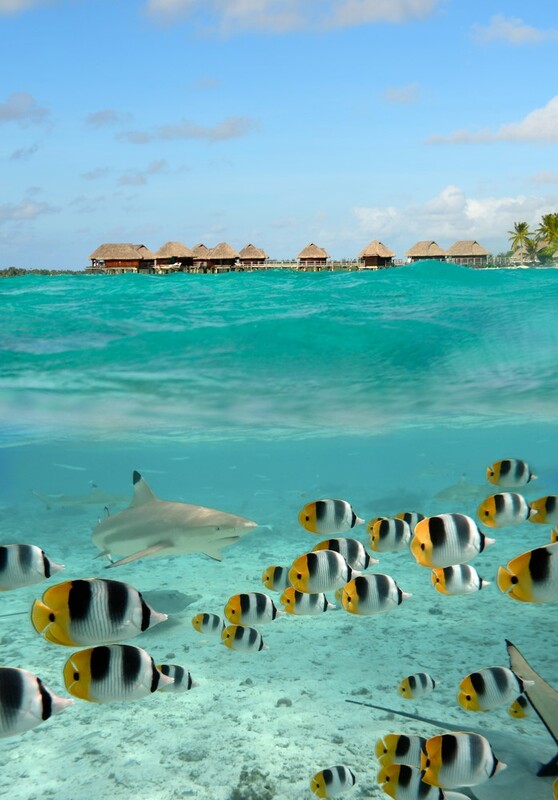 April: By most, this is considered as one of the best times to visit Bora Bora. It’s easy to see why is that. This month precedes the high season and represents a crowds-free month with perfect weather. Also, there are a bunch of discounts on hotels and resorts. May – October: Now this is when the heavy crowds rule over this magnificent place. With August as the most popular among Europeans, these six months are the peak of the season. Because of that, the prices of the resorts and hotels are understandably rocket high, making them the only downside aside from the crazy amount of visitors. Moreover, the key events are Tahiti Pearl Regatta (from April to May) and Heiva I Bora Bora (from June to July). November: Finally, another best time for travelling here is November. Starting from the pleasant weather, a low number of tourists to the discounted rates, this is the time for the ones who want to explore everything to the core and make memories while doing it. Having said that, the key event Hawaiki Nui Va’a is the real deal. In case, weather gives the final word in the decision to visit the world’s most magical place, know that in Bora Bora it is mainly warm and dry. The year starts with temperatures varying from 23°C to 30°C in January through May and then slightly lower from 21°C to 28°C from June to September just to end the year with 22°C to 29°C. That’s quite impressive, you have to admit. So, if you’re a lover of the sun, hesitate no more. Here are the top activities you can sketch in your album of memories together with the perfect time to do that. Stay at the bungalows – You must have seen pictures of small houses floating above the water with an amazing background. Well, most probably those were the famous bungalows, unique only for Bora Bora. They’re the popular stay-in places throughout the whole year, offering a sanctuary from both the sun and the rain. It isn’t like you’ll be seeing any snow there. 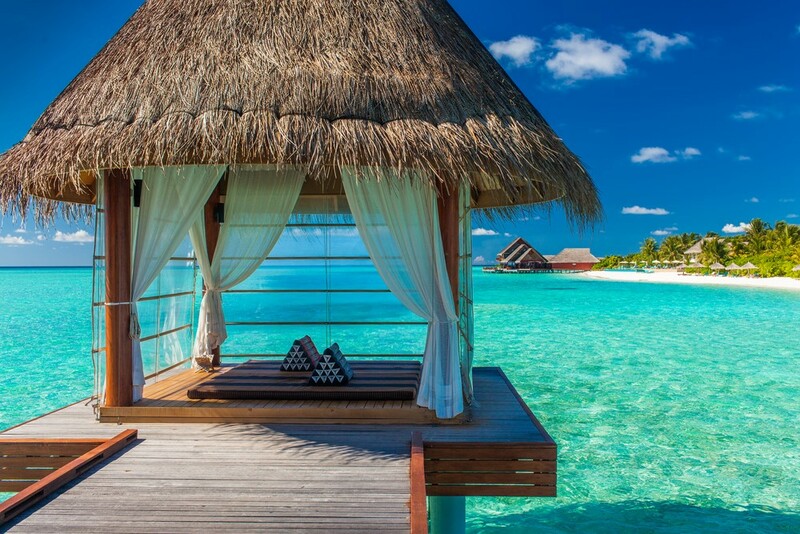 There are around 10 overwater bungalow resorts that are rewarded from three to five stars and as you suspect, they are not cheap at all. But that’s nothing in comparison to the invaluable experiences. Swim with sharks and manta rays – If you haven’t swum in the turquoise waters with overlapping blue and green shades, you haven’t been to Bora Bora. As simple as that. Don’t worry about your safety as someone is always beside you during this safari, enabling you to pet and feed the sharks and manta rays. So exciting, right? However, if fear gets the better of you, you can always be satisfied with a view from the boat and admire these wonderful creatures from afar. As May is the home for hottest temperatures and warm waters, it is the best time for this unique swimming experience. Go on a photo expedition – Bora Bora is the kingdom of breathtaking sunrises and sunsets, accompanied by miraculous nature. Do you know what that means? It’s time to grab your camera and go on a photo expedition. Simply walk around and snap a photo of everything that falls into your eyes and, believe you me, that would be plenty. Your friends will drool over the images when you return back for sure. Almost scientifically proved, the best times for this activity are the dawns and twilights. Scuba dive – Another on ‘the best time to visit Bora Bora and do the things you’ve dreamed of’ list is definitely scuba diving in the quiet months. The waters of the green lagoon are all yours for taking, especially during November and the next four months. 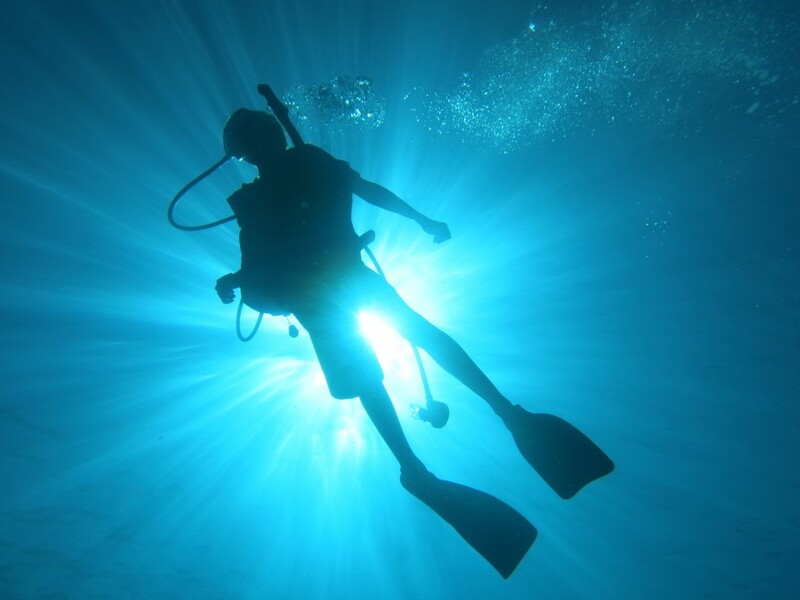 You’ll get the chance to reach the depths of the clear waters and embark on the most epic scuba diving adventure. Just don’t forget to bring your fins, mask and oxygen tank. Go parasailing – Fly above the lagoon at Matira with the wind blowing your hair and forget about all the troubles in your life, as the best time to go to Bora Bora includes this unforgettable drifting action. And guess what? You don’t even get your clothes wet. 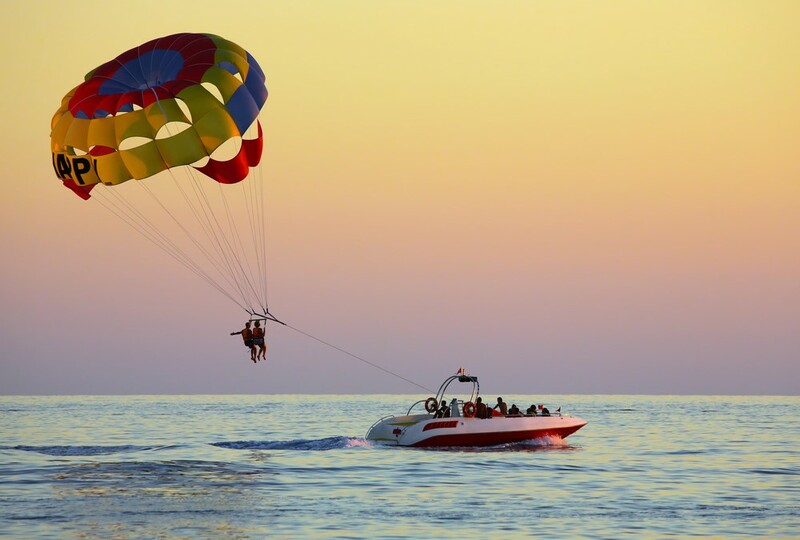 With trips of 50 meters and 130 meters above the water, you can enjoy the sight from 15 minutes to almost half an hour. So, definitely don’t miss this opportunity! If you want to find out more, click here. 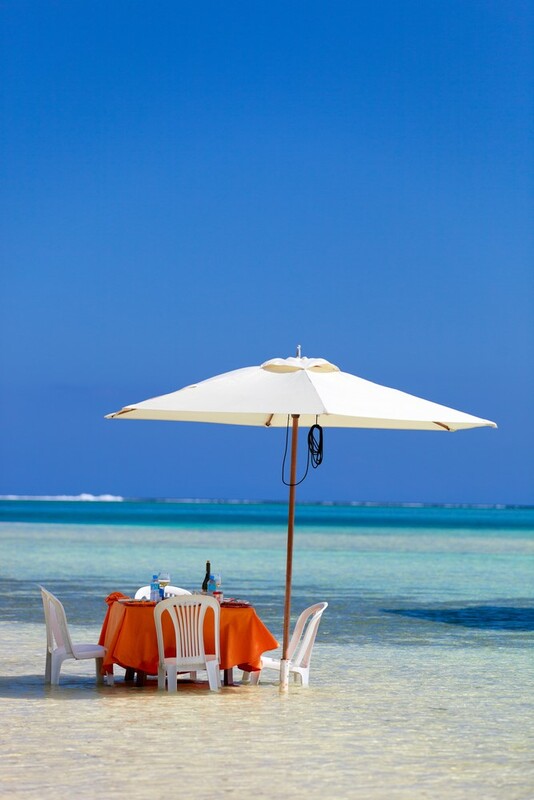 Have a private Motu picnic – Whether you’re on your honeymoon with your partner or on a holiday with a very close friend or your family, you mustn’t evade a private Motu picnic. A private boat or helicopter picks you up and takes you to a very remote, intimate, but exotic place where you’ll have the best meal in your life. You’re surrounded by astounding nature and served everything from Polynesian food to barbecued meat and sweets. I bet you want to already be there and I couldn’t agree more with you. This is truly a phenomenon you can experience at any time of the year. 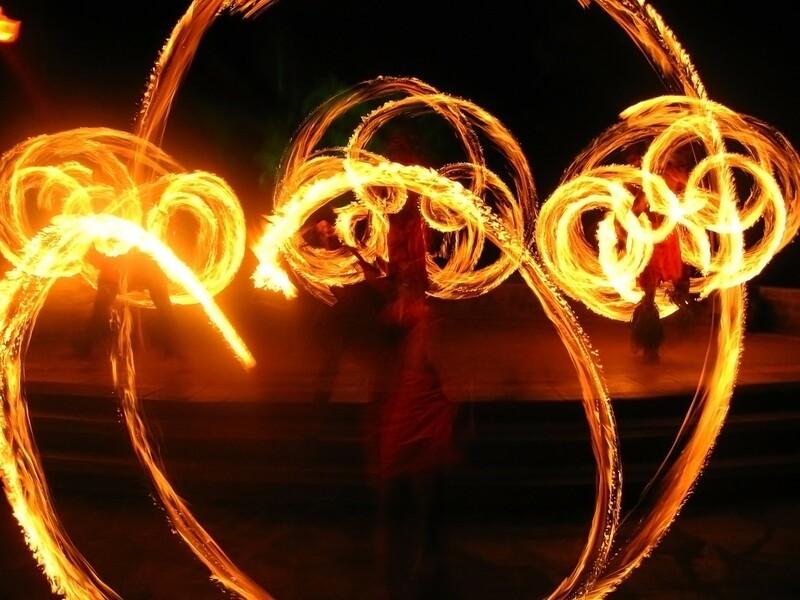 Go to a fire dance performance – When you think you know it all about the best time to visit Bora Bora, this activity comes up and shatters your mind. It’s called the Polynesian Dining Show and it represents one of the most exciting things to do during the nights. It is usually set by the lagoon, offering a feast for the soEverythinghing from the delicious dinner they serve, the magical surroundings up to the real thrill with the dancers breathing fire and dancing among the flame rings. Wow, wow, wow! Admire Otemanu Mountain – Don’t even think about leaving Bora Bora without climbing to the top of Otemanu Mountain. This miracle is, in fact, an extinct volcano in the middle of the island that serves for admiration. There are all kinds of ways to experience its Godly beauty. There’s always hiking on the ground trails, a boat, helicopter, jeep tours and even a photographing opportunity from the beach. According to many, the best time to visit is on a sunny day with no clouds disturbing the peaceful sky. So, check the weather before taking the steps to the mountain. Jet ski – For all the curious visitors out there, the perfect way to explore the wonderful turquoise waters is to rent a jet ski and drive it all around. With a guide leading you, the tours are around two hours long. Aside from the lagoons surrounding the bungalows, it includes a visit to a small islet where you get the chance to swim and let go off everything. Also, they’ll teach you how to climb a coconut tree and crack open coconuts, which is an experience of its own. 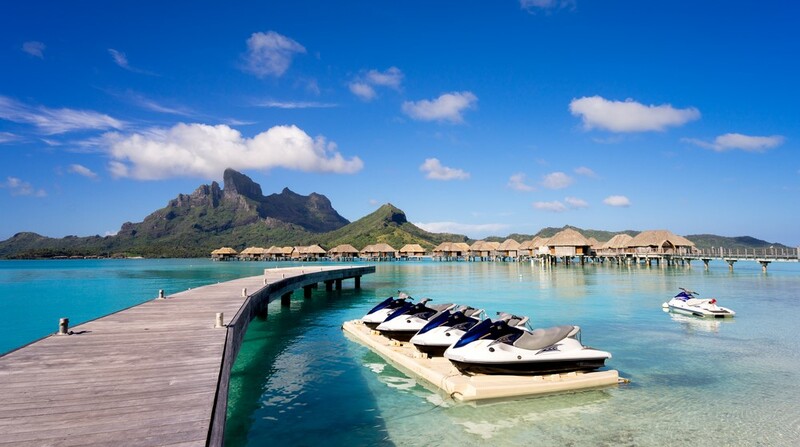 The best time to visit Bora Bora for jet skiing would be for less-crowded months such as April and November. Enjoy the overwater spa – Offering a relaxation for the body and mind, another unforgettable experience is the overwater spa. There’s nothing like drinking a cup of herbal tea and enjoying yourself in the treatments while all kinds of fish and other animals swim under the crystal green waters. If that isn’t paradise on Earth, I don’t know what is. And not to mention the jacuzzis and well-decorated treatment rooms. It is simply an activity for every hour of every day. 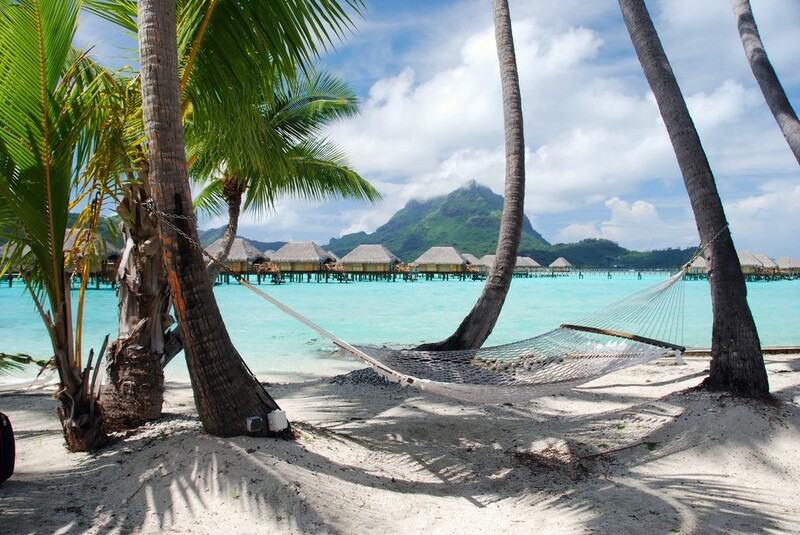 Lie on the hammocks – The best time to visit Bora Bora is not always associated with doing extraordinary stuff that you never thought you would do. It lies in the simple lying on the hammocks and taking a deep breath in the beauty around you. Both in warm and colder months, with crowds or very few tourists, this activity never goes out of fashion. All you need is to get to the nearest beach, choose a hammock to lie on and stare at the sky, marvelous waters, bungalows and mountains all day long. Have a romantic dinner – “Honey, I love you” doesn’t sound the same everywhere. And the best place to say it will forever be the breathtaking beaches of Bora Bora. 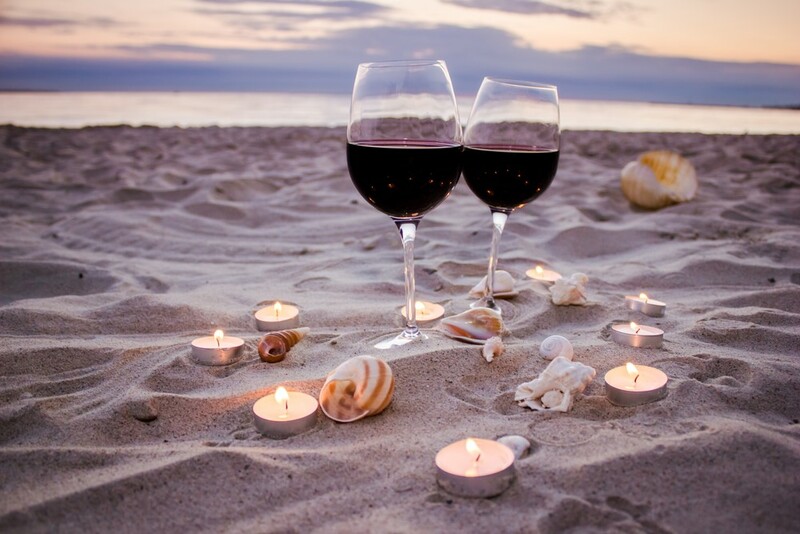 With glasses of wine and the music of the waves, you can have a blast with your partner. Completely in the dark with small candles or in the colors of the dying, dusk sun, the sands of Bora Bora are the ultimate romantic getaway for every soul in love. But I suggest you to organize a romantic dinner like this in the months with less crowds to ensure maximum privacy.